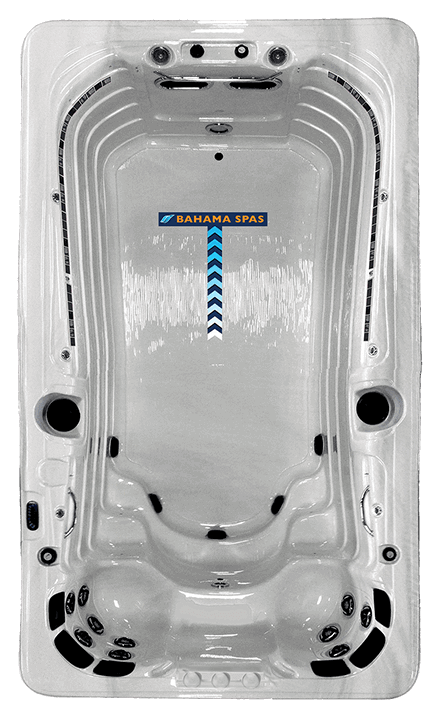 Bahama Spas believes exercise and fun can be combined into the same area. 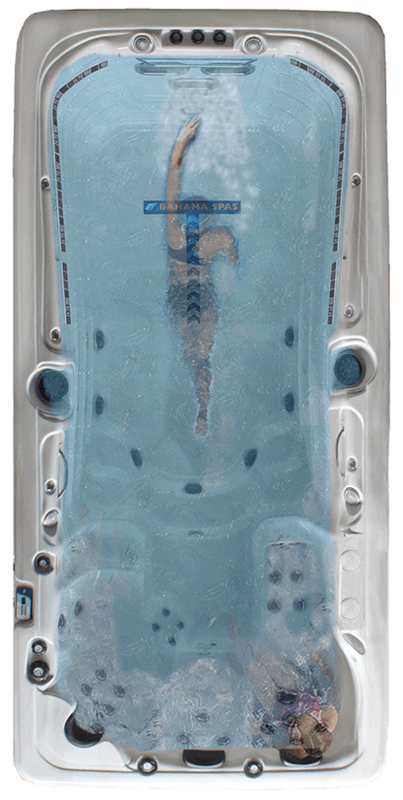 Four specialized swim spas are built to last a lifetime and are an excellent way to get in shape! Our swim spa line includes a swim lane for guidance in the water, and with the rowing kit comes resistance bands and bars so you can start your training circuit. It will become your personal underwater gym with the additional benefit of being a low impact activity. 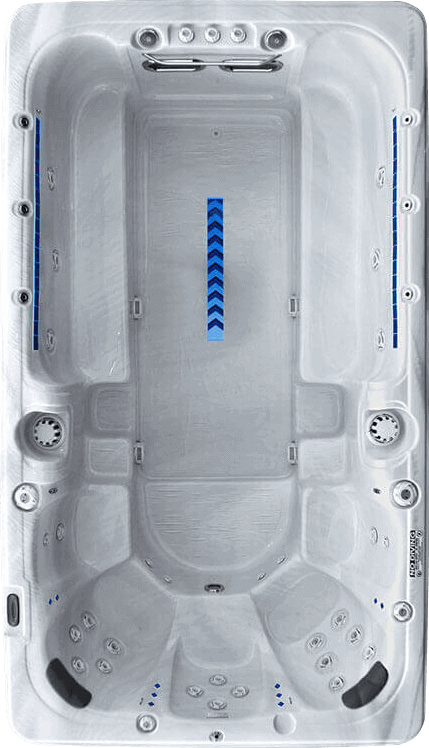 Click on the tabs below to read more about the different models we offer. Weight: Dry / Filled (approx.) 2200 lbs. / 13800 lbs. Weight: Dry / Filled (approx.) 2100 lbs. / 13500 lbs. Weight: Dry / Filled (approx.) 2700 lbs. / 19300 lbs. Weight: Dry / Filled (approx.) 3,500 lbs. / 20,300 lbs.